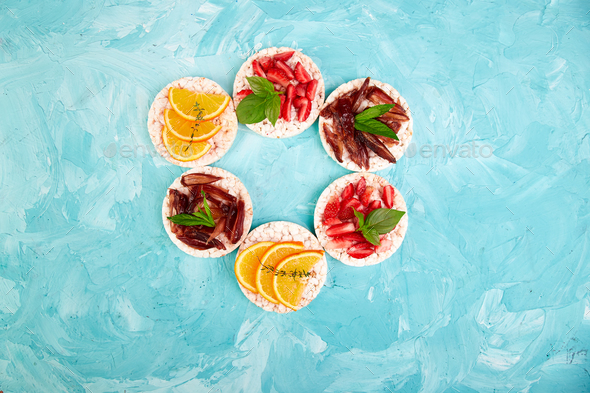 Snack with rice crispbread and fresh fruits on blue background. Healthy food concept. Flat lay, top view, round. Healthy snack with crisp bread. Easy appetizer recipe.